Design is part of our every day lives and we often don’t notice it. 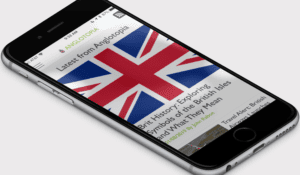 It’s also played a key role in London’s history. That’s the idea behind a new exhibition coming to the London Transport Museum later this month. A new exhibition, Designology, opens at London Transport Museum on 20 May 2016. The exhibition celebrates London’s internationally recognised iconography and explores the influence that thoughtful and persuasive design has had on our daily experiences of the urban environment. Immersive displays and never before seen items explore the familiarity of everyday design, while historical and contemporary design innovation is uncovered in posters from the golden age of travel. Design lovers will be able to see early and modern examples of Tube maps, while tickets and signage give visitors the chance to discover the art and aesthetics behind the functional and familiar. The exhibition is accompanied by a wide programme of events including themed adults only Friday Lates, Talks and Late Debates, as well as a pop up design Studio – an exciting part of the exhibition space which gives visitors of all ages the chance to meet professional and student designers in residence and get involved in their work. 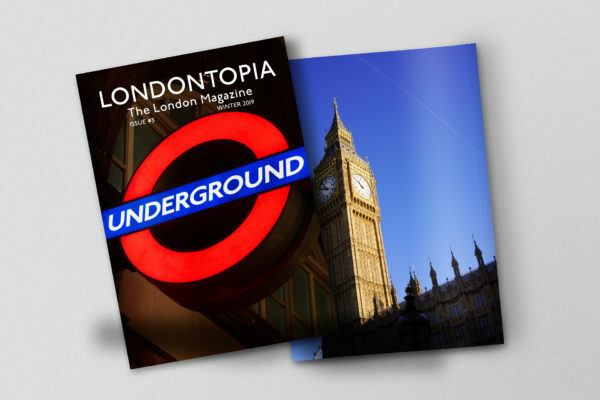 Architecture, graphics, industrial, product and service design are brought together to showcase the complete and integrated approach to design taken by Transport for London (TfL) and its predecessor organisations over the last century. The exhibition explores how design is encountered in our everyday journeys and how this has evolved as user needs and technology have changed, as well as looking at how our travel experiences might develop in the future. 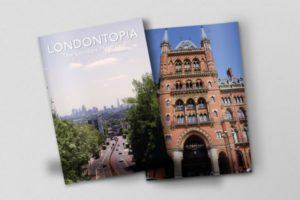 From the visual to the virtual and from Victorian engineering genius to modernist masterpieces, Designology uncovers the fascinating designs and processes behind London’s moving metropolis. 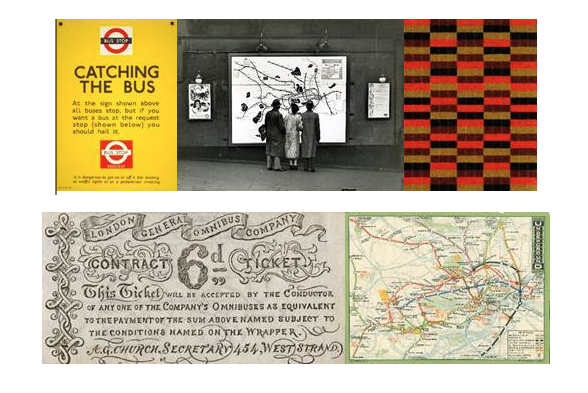 Before the digital age, posters and guidebooks were key in encouraging the use of public transport, while maps and transport operators were instrumental in assisting passengers in planning their journeys. In modern day London, sophisticated digital journey planning technology gives passengers the same information literally in the palm of their hands through the TfL Journey Planner. The exhibition explores how art and changing fashions are mirrored in the designs of different materials, from the early misconceived and often confusing timetables and guidebooks through to beautifully designed posters and maps from the last century. Some of the objects are on display to the public for the first time, including an 1834 Shillibeer Woolwich Omnibus timetable, original architectural drawings by Charles Holden of Arnos Grove and Sudbury art deco stations, and a 1994 magnetic ticket hall station model kit. As visitors make their way through the exhibition they will begin to recognise the underlying design that surrounds them – design that is often hidden by its familiarity in everyday life. The exhibition open May 20th, 2016. Children aged 17 and under go free (under 12’s must be accompanied by an adult). 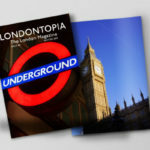 Save money by booking tickets in advance online at www.ltmuseum.co.uk – £16.00 for adults and £13.50 for concessions. Tickets on the door are priced at £17.00 for adults and £14.50 for concessions. Tickets allow unlimited daytime entry to all Museum galleries and temporary exhibitions for a whole year. Sounds very interesting. I hope we can check this out during our next visit to London. I will love to get there too. Too bad that those exhibitions are so rare those days. And we are so busy. Thanks!